Didn't manage to read as many westerns this year but still feel I read a good variety of styles and different authors. Click the number to go to the book review. John Legg, who has had many westerns published under both his own name and a variety of pseudonyms, is now putting some of his back catalouge out as ebooks and is releasing some brand new work alongside them. You can find an interview I did with him here. January 5th 2015 sees the publication of the first three in a brand new multi-author adult western series called Blaze! All three are available for pre-order. "J.D. and Kate Blaze are two of the deadliest gunfighters the Old West has ever seen. They also happen to be husband and wife, as passionate in their love for each other as they are in their quest for justice on the violent frontier!" Paul Lederer has now made is highly acclaimed five book Spectros series available as ebooks. Whilst not strictly Westerns as they cross the genre with fantasy they have always appealed to western fans, so if you fancy something a little bit different then these are well worth your consideration. Tony Masero continues to put out brand new material, both series westerns and stand-alones. Tony is perhaps better known as a cover artist first rising to prominence in the western field when he painted the U.K. covers for George G. Gilman's books. As well as painting his own covers his excellent artwork can be seen fronting many of Piccadilly Publishing's releases. An interview with Tony can be found here. First published by Panther Books, March 1966. Two braves came up to Spur and ripped the remains of his shirt from his body. The sweat poured down him. Then the man wearing the buffalo horns turned and faced him. In his hands he held a hot iron. He was still smiling. He capered a little, dancing nearer and nearer to Spur, hopping on alternate feet, crooning a gentle song. When he was close to Spur he held the iron near his eyes. The white man dropped his lids against the heat and his heart pounded in his breast like a drum. The book opens with a frantic attempt by a mother to save her young daughter from Kiowas, a task doomed to failure and the little girl is snatched. After this the story never lets up in the action stakes as Sam Spur tries to find, and rescue, the kidnapped child. To say Spur is a tough character is an understatement. The threat of death during gunfights or torture can’t dent his resolve to complete his mission. This leads to some very tense confrontations with the Kiowa that also involves bluff and double-cross, culminating in desperate bid for freedom whilst facing vastly superior odds. Originally published under the author name of Cy James, Piccadilly Publishing have added the writers much more well-known name of Matt Chisholm, which in itself is also a pseudonym. The author’s real name being Peter Watts, an Englishman who at the height of his career was one of, if not the, biggest selling western writer in the UK and he has always been one of my all-time favourites. So, if you’ve yet to try any of Watts’ work, then this book could be just the place to start if you enjoy hard-hitting, non-stop action westerns. After a row with his fiancée, young lawyer Jerry Freeman leaves New York and travels as far as his meagre savings will carry him. He ends up in the small Texas town of Mineral Springs, where Judge Clayton Singer, owner of the local saloon, runs the strangest court ever known in the history of the United States and nobody dare go against him. Jerry is appointed Public Defender and soon becomes accepted in the little community. However, when he makes a poor judgment about one of his clients, Jerry ends up on the wrong side of the law himself and in peril for his life. 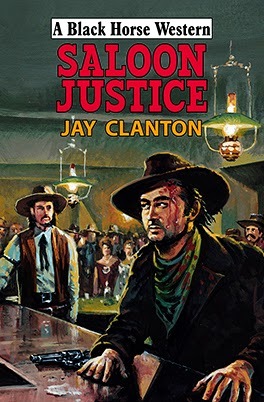 This book is set in 1889, a fair bit later than the vast majority of Black Horse Westerns, and, as far as I can tell, is the first to carry the author name of Jay Clanton. 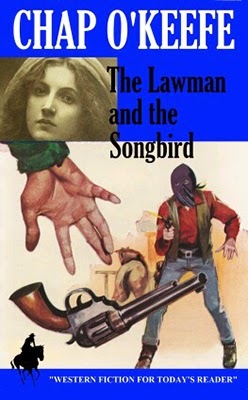 At least two thirds of this story deals with court cases, and these make for fascinating reading and also contain some humorous moments as modern New York law comes up against Old West law – or should that be Clayton Singer’s take on the law? The Judge sure has some eye-opening reasons for dishing out justice in a way to both benefit him and his town. So, don’t expect a book filled with gunfights – although there is gunplay towards the end of the story – what you get is a tale of twisting legal battles and an awakening in Freeman as to how life, and people, isn’t quite as clear-cut as he believes, all resolved in an exciting clash of Old West adversaries: Indians, posses, and killers. I found this book to be a very entertaining read that has left me looking forward to Jay Clanton’s next book which is due out in April 2015. Is this the end of the Trailsman? 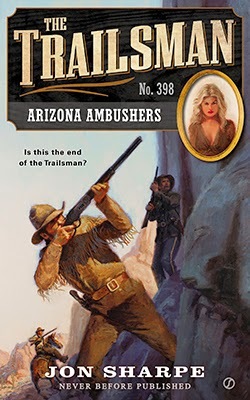 Skye Fargo comes across a massacred army unit in the Arizona wild, and everyone immediately assumes it was the Apaches. But when he investigates, he finds something even more frightening – a savage pack of feminine felons out for blood and money. But he isn’t about to let any of these wild women get away – not without the Trailsman putting them flat on their backs…. Jon Sharpe sure has come up with a terrific group of adversaries for the Trailsman, and they aren’t the only great characters to be found in this story for there’s another woman who is out for revenge, and there’s a half-blood who seems to want to help Fargo but may have another agenda. And shadowing them all is a small band of Apaches set to strike at any moment. There are many tense moments to be found in this extremely fast paced tale. Action explodes across the pages regularly and there is a neat twist that took me completely by surprise. Combine this with believable dialogue that is often laced with humour and you have a book that demands to be read. Once more this tale finds David Robbins writing behind the pseudonym of Jon Sharpe and again it’s his gift of storytelling that makes this book such a joy to read, and for me, and many, many other fans of Skye Fargo it really is a shame that this could well be last time we’ll read a new Trailsman adventure for the series has been cancelled. There is a vague glimmer of hope that Fargo could ride again as a reliable source has said the publishers have stated the series has been put on hiatus. In case this does turn out to be the last Trailsman book I’d like to take this opportunity to thank all the authors who have written behind the pseudonym of Jon Sharpe and made this a must read series for me. The elderly derelicts in the sleepy Louisiana settlement of La Belle Commune are leading the good life, lazing in the hot sun. 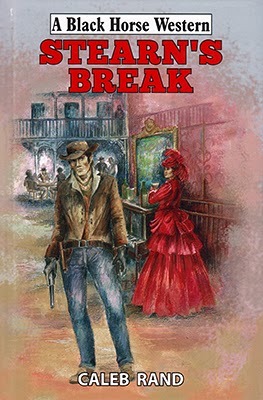 Until Bushwhack Jack Breaker rides in from Texas with his outlaw band, and everything changes. Ex-bounty-hunter Paladin awakes to find eccentric marshal, Brad Corrigan, has been forcibly taken, along with saloonist Rik Paulson and storekeeper Alec Mackie – but where, and why? The elegant widow Emma Bowman-Laing knows where, but Paladin and crippled wrangler Shorty Long fail in their rescue bid and Bowman-Laing’s crumbling antebellum mansion goes up in flames. With rumours of a horde of gold coming across the sea by ketch, and flashy Mexican killer Guillermo Rodriguez brandishing his six-gun, Paladin slips reluctantly into his old bounty-hunting ways. His search for truth and justice takes him deep into Texas, but it is in La Belle Commune that everything is resolved in a bloody fight in the saloon, and brought to a fatal close in the waters of Petit Creek. Will Keen brings together an excellent cast of characters whose personalities grab your attention as strongly as the terrific twisting plotline. At no time is it obvious how this fast moving tale will develop and who will be alive at its conclusion. The story outline might seem to leave nothing out but believe me it doesn’t hint at the double-crosses and motivations that leave one person in unsuspected grave danger and the frantic race to save them and the hard-hitting ending this leads to. Will Keen is a pseudonym used by John Paxton Sheriff and I’ve always found his stories to be hard-to-put-down reads with well thought out plots that are never predictable, and this book enforces that statement. If you’ve never tried his work then this is certainly a worthy place to start. Legendary Will Bill Hickok and his close friends, retired lawman Dan Shaw and veteran gunfighter Tom Dix, have no idea what they are facing upon arrival in the sprawling town of Dead Man Draw. But it doesn’t take long to discover that the place is crawling with hired killers. The intrepid trio are soon face to face with more deadly guns than they have ever encountered, each one trained on the fearless men as they move through the settlement. The tension is about to break. Shaw and Dix are angry but Hickok is more than angry – he’s dangerous. 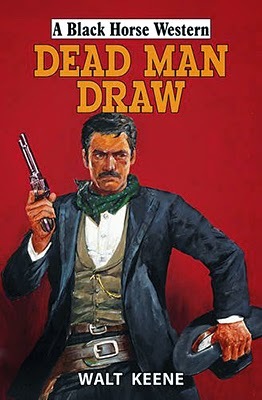 Dead Man Draw is, I believe, the ninth book in Walt Keene’s series featuring Dix, Shaw and Hickok, and it’s only the second I’ve read. As in Gun Fury Hickok doesn’t have a major role until some way into the story. He appears in the prologue and it’s during this that a couple of major questions are voiced that kept me reading to find out their answers. Dix and Shaw, virtually penniless, take on roles as lawmen in Dead Man Draw, without really wondering why they’ve been offered the jobs. It soon becomes obvious that the men who’ve hired them, and those who oppose them, don’t give a damn about the real law and it seem all are motivated by greed. With Hickok’s arrival in town the three team up and take on the bad guys in a bloody showdown that includes a couple of twists and also brings forth the answers to the questions set at the beginning of the story. 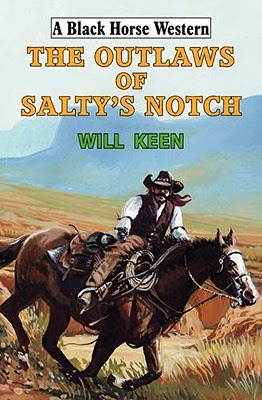 Walt Keene is a pseudonym used by Michael D. George, a writer whose Black Horse Westerns written under a variety of pen-names are very popular. 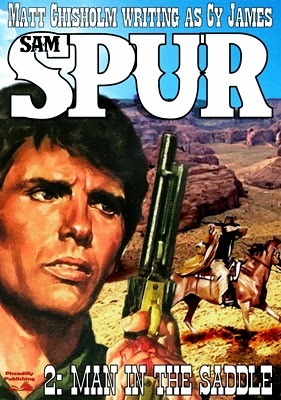 A couple of his other series are perhaps better known than this one, but on the strength of this very entertaining book maybe Dix, Shaw and Hickok should be up there with the likes of Iron Eyes (as by Rory Black) and the Bar 10 series (as by Boyd Cassidy). Pinkerton detective Joshua Dillard went undercover to a lawless Montana boom-town peopled by avaricious gold prospectors, ruthless bandits, fancy-pants rogues, and scheming dance-hall girls. In Cox City, he set his sights on arrogant, skull-faced Blackie Dukes and his bunch. But Alvin "Aces" Axford's safe at the Magnet saloon was robbed right under Joshua's nose. Who had spirited away Axford's haul of gold? Joshua had to buy that plucky songstress Kate Thompson had double-crossed the dangerous Dukes gang, luring him into a futile dance in a raging blizzard across the Bitterroot Mountains. It was one of luckless Joshua's most conspicuous failures. Not until seven years later did he return to Cox City, as town marshal. The time had come to solve the mysteries ... and to lay the ghosts of failure with a blazing six-shooter! I think I’m right in saying this is the fifth book in Chap O’Keefe’s nine book series about Joshua Dillard, but you don’t have to have read any of the previous tales to fully enjoy this one. In this story it seems Dillard has more than met his match in Kate Thompson, who makes for a very strong female lead character who seems to be one step ahead of everyone else. Having said that the robbery she masterminds doesn’t quite go according to plan and the chase is on. Chap O’Keefe once more presents the reader with a fast paced book that is filled with action and a twisting storyline. Never was it obvious how this tale would end and the conclusion does come as a fitting surprise. As with all of Chap O’Keefe’s books I’ve read this one left me eager for more. If you’ve not read one of his books yet then may I suggest this as an excellent introduction to his extremely readable writing. 1870 and Indian Territory is a hellhole of lawlessness. Federal lawmen are being gunned down in cold blood and outlaws are trading arms to renegade Indians. The lawmakers in Washington fear that order has been lost and insurrection may spread to the peaceful tribes. In desperation, a bold and secret plan is devised by two senior marshals to recruit a new and unknown deputy – one who can operate independently to hunt down and kill three notorious outlaws in reprisal. But has the right man been selected for this dirty, difficult and dangerous assignment? Walter Garfield’s background is more than a little shady, and he seems to have his own agenda. Why does he keep asking after a fourth man by the name of Jason Taylor who is travelling with a Mexican woman? And why will people call him Reaper? 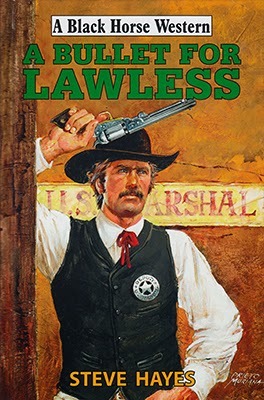 For this, Lee Clinton’s fourth Black Horse Western, the author returns to his hero from his third book, The Proclaimers, but this isn’t a sequel, instead it tells of how the ex-marshal of that previous book became a lawman in the first place. 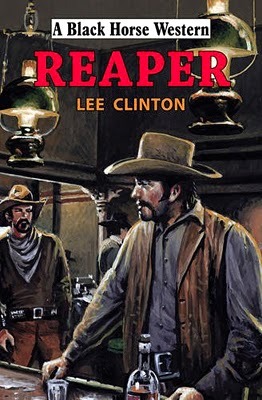 As he has done with all his earlier books Lee Clinton presents the reader with one of the longer Black Horse Westerns. The story takes place in just over a month, each short chapter having a sub-heading telling just what day and/or time its events happen. The story proves to be an enthralling read, filled with superb characters and includes a gripping mystery thread; that of why Garfield is hunting for Jason Taylor, the answer to which took me completely by surprise. As the fast moving tale progresses it soon becomes clear that some hard decisions are going to have to be made as Garfield and his small band of allies find themselves facing a far superior force in numbers. This leads to a hard-hitting finale that’s filled with tension that strains nerves to breaking point. That concluding showdown is one of the most memorable I’ve had the pleasure to read for some time and it left me looking forward to Lee Clinton’s next book, something that can’t come soon enough in my opinion. Lee Clinton is a pseudonym used by Leigh Alver, and I must also add thanks for the excellent dedication. It was the fall of 1875 and all the Plains tribes were at peace. The best Cheyenne hunting grounds were under Army control. But then General Custer found gold in the Black Hills and set out to stir up a war to save his prestige. Sundance got involved when Custer locked him into a filthy prison for four months, and when he got out, his hatred for Custer was like a burning flame. Sundance was all Cheyenne when the Indians faced Custer – he vowed to have his revenge, and if he did, Custer would never leave Little Big Horn alive. Like the majority of the early Sundance books this one is based on fact, mixing a fictional hero with historical fact and real people seamlessly. Most of the story deals with events leading up to the Battle of Little Big Horn. 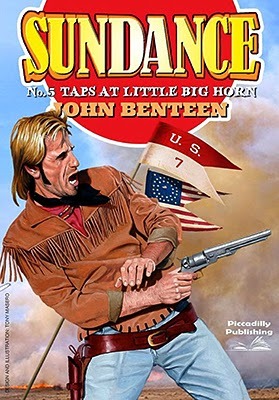 You don’t need to have read the previous Sundance books to get full enjoyment from this one as John Benteen includes a fair amount of Sundance’s back story, in this case mostly told by George Crook, who is one of Sundance’s close friends, one he fears he may have to face over a gun before long. Sundance also has some powerful and far reaching decisions to make. He’s offered a way to perhaps stop the coming Indian war, but this could mean giving up his woman, Barbara Colfax, whom he met in the first book of the series: Overkill. Benteen’s descriptions are excellent, particularly a frantic struggle to travel through snow and trying to survive a blizzard that threatens to freeze to death those caught in it. Of course we all know how the historical elements of this fast-paced tale have to end but it’s witnessing how Sundance finds himself facing Custer that made this story for me. There’s double-cross to deal with, lots of life or death situations, brutal action, and a tension filled jail-break. All told in Benteen’s griping, gritty prose that defies you to put the book down before the last word is reached. John Benteen is a pseudonym used by Ben Haas and I’ve yet to come across a western by him that isn’t worth reading. Nate and Winona King thought they were doing the right thing when they ventured deep into the Rockies to return a little girl to her people. Little did they imagine it would put Winona and the girl in peril for their lives and pit Nate against ruthless enemies. At last, another Wilderness book, and one that adds a neat twist to the future of the King’s lives, one I didn’t see coming, but more of that later. As many will have noticed this, and the previous book, The Gift, are being put out under the authors’ real name, David Robbins, instead of the pseudonym David Thompson that was used when the series was published by Leisure Books. The book features a tribe unknown to me previously, the Tukadukas, and David Robbins ignited my interest with the unusual hunt that brings them together in this story for me to search for more information on them. As fans of the series will already know, David Robbins often uses the strength of the family bond, their love for each other, that will see them risk everything to save each other, and this story is no different and that is what leads to the twist ending I mentioned earlier. The book seems to have two storylines to begin with but you just know these seemingly separate threads will come together violently, and when the King’s get split up the tale gets more complicated and becomes a race against time. With very strong male and female leads, terrific dialogue often spiced with humour, and savage action scenes, this story builds to a spectacular ending that will alter the King’s lives. Due to the ending fans of the series will not want to miss this chapter in the King family story. 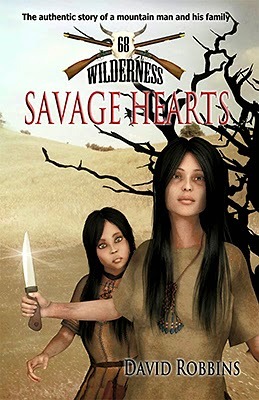 If you’ve never read a Wilderness book before then this is an excellent place to start, to get to know Nate and Winona King and discover how much they are willing to sacrifice for each other. All I can now hope is that David Robbins doesn’t make us wait quite so long before the next book is published. Here's the first in what I hope to be an ongoing series of posts highlighting ebooks. Chet Cunningham, whom I interviewed here, has been busy putting out his back catalogue as ebooks, including his Jim Steel series and his Pony Soldiers series. 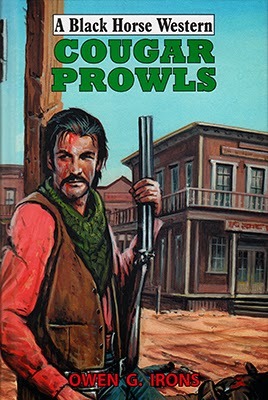 The books I'd like to bring to everyone's attention though, is his Outlaws series; six books that were originally published by long gone Leisure Books. All six are now available as ebooks. The reason I'm mentioning this series in particular is that Chet has also put out a further three books that I'm sure fans of the series will be eager to read. Gary McCarthy, another author I interviewed sometime ago, has also been busy making many of his books available as ebooks, including his entries in the excellent Rivers West series. 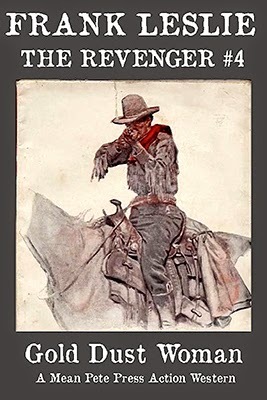 Two of his own series that I really enjoyed are amoung his releases; The Horsemen, and The Derby Man - you'll find a number of the latter series reviewed on Western Fiction Review. Piccadilly Publishing continues to put out around eight ebooks each month and have recently begun releasing two terrific series by Judd Cole; Wild Bill and Cheyenne - the latter of which I'd highly recommend are read in order as story threads continue book to book. They've also started publishing Cy James' great Sam Spur series, Peter McCurtin's Carmody books, and McCurtin's entries in the highly regarded Lassiter series originally written as by Jack Slade. Finally, for this entry anyway, I'd like to mention one other series they've started to put out, and whilst some may not called it a western series specifically due to it being set slightly later than the years many consider westerns to be set in, and that's Lou Cameron's Renegade books, originally put out as by Ramsey Thorne. When ex-lawman Ben Lawless took a bushwhacker’s bullet that almost killed him he knew the man who’d shot him and he knew that the bushwhacker never missed: so why was Lawless still breathing? 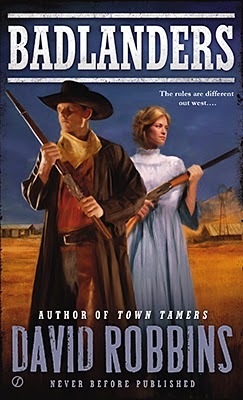 With rancher Veronica Ketchum to thank for his life, Lawless decides to return the favour and back Veronica in her battle with land-grabbing cattle-baron, Stillman J. Stadtlander. Their paths have crossed before and Lawless is no fool: he cannot take on Stadtlander’s gunhawks alone. He enlists old friends, Drifter and the enigmatic Gabriel Moonlight, and just for good measure calls in Latigo Rawlins, the very man who had bushwhacked him…. This is the latest book in Steve Hayes Santa Rosa Saga and readers of this excellent series will have met all the main players in this story before, and this time it seems as though Stadtlander might finally be made to pay for his crimes. Steve Hayes builds the tension well, not just for the coming showdown between Lawless and Stadtlander, but also for the future of Moonlight who is now riding on the wrong side of border, the side that has him named as an outlaw with a future at the end of a rope. When Lawless and friends finally face Stadtlander and his gunhawks the results are unexpected and provide a terrific twist to the tale. This in turn means Lawless has more problems to solve, not least one of the heart. I can’t really say any-more about the storyline without spoiling it so will finish by saying that if you have read any of the Santa Rosa Saga books before then make sure you don’t miss this one, and if you’ve yet to try any of Steve Hayes work then this could well be a great place to start. Many of the Santa Rosa Saga books are also available as ebooks. Looking to start a new life, away from the futility of working an exhausted gold mine, Will Stearn and his partner ride into Ragland. But the town is tough and it isn’t long before Will’s old friend is fatally wounded in a back street brawl. Will considers moving on, until a brush with Connie Boe leads him to accept an attractive and profitable business offer. So, when hard-nosed gunman Newton Boe returns to claim his wife and a share of the newly opened Rojo Pluma, Will is advised by the sheriff to cut his losses and leave town. But Stearn knows better than to avoid this fight, and must stand firm in the face of terrible trouble. Caleb Rand is a pseudonym used by Carl Bernard, and under this name and another, Abe Dancer, he’s had around forty westerns published. Quite a few of these reside in my collection but this is only the second one I’ve read. The plot is fairly straight-forward and doesn’t happen is quite the order the blurb above would have you believe. For instance Stearn’s partner, Clem Tapper, isn’t killed until near the end of the book. My favourite character was the sheriff, a man struggling to keep everyone alive whilst keeping his daughter out of trouble. The pace of the book is excellent, ever increasing towards Tapper’s death, and this in turn sets the story up for a deadly final showdown between Stearn and Newton Boe. On the strength of this story I think it’s time I dug out some of Carl Bernard’s other books. Battle-hardened Carroll Cougar has finally made it home to his little ranch on Twin Creeks with his new bride, Ellen, after spending years with General Crook in the southwestern wars. But Cougar and Ellen have left too many enemies alive behind them, and more have accumulated in Twin Creeks in their absence. With his home dangerously threatened, Cougar realizes his warrior years are far from behind him and the time has come for him to buckle on his guns and go out prowling, until he has defeated every last one of his enemies. This book continues the storylines begun in Cougar Tracks and readers may like to read that one before this, although Owen G. Irons does include enough information for readers new to Cougar to understand what has happened previously. The first seventy or so pages conclude the major story threads from the first book in a number of desperate and bloody confrontations that will also see Cougar struck dumb by some of the heart-breaking truths that are revealed and they surprised this reader too. The rest of the book sees Cougar and Ellen attempting to begin a new life but trouble isn’t far away and Irons' uses this part of the tale to tie-up a situation that started right at the beginning of the first book. Owen G. Irons is a pseudonym used by Paul Lederer, and as expected this book proved to be extremely difficult to put down. Full of gripping action scenes, well-crafted characters, and mystery – such as who is sniping at Cougar’s homestead and why? The story comes to a satisfying ending and I’m left looking forward to Paul’s next book and hoping that, just maybe, we haven’t heard the last of Cougar. When Alexander Jessup moves with his two daughters to the Badlands to run a ranch, he’s unprepared for the West’s deadly perils. But despite the dangers, his daughter Edana is determined to manage the Diamond B. And it may be possible, thanks to the ranch’s foreman, Neal Bonner, and his partner, Jericho, an expert gunman. But Edana’s headstrong sister, Isolda, has other plans. She has no interest in herding cows – or in polite society, for that matter. So she latches onto cutthroat conman Beaumont Adams, and the two scheme to take over the town of Whiskey Flats with the help of the worst criminals in the Badlands. Now Edana, Neal, and Jericho must face down a pack of stone-cold thieves and murderers to avenge a death and to save Whiskey Flats – or die trying. David Robbins’ latest stand-alone western is packed full of memorable characters which includes two very strong female leads whose true personalities are brought to the fore with their move to the West and by the men they fall for. Robbins’ includes some brief, yet detailed backgrounds for all his main players which goes some way into explaining why they act as they do. Learning the ranching business is one part of the tale as is the brutal way Adams goes about taking over Whiskey Flats and I was soon wondering how these two seemingly unrelated storylines would be brought together and this is expertly done through the mystery of someone who becomes known as the ‘cow killer’. David Robbins superbly tells his tale in gritty prose. The story laced with bursts of deadly action, tough dialogue and many humorous comments. Why someone is killing cows becomes a gripping thread of intrigue and the final showdown brings both surprises and a fitting end to the book. 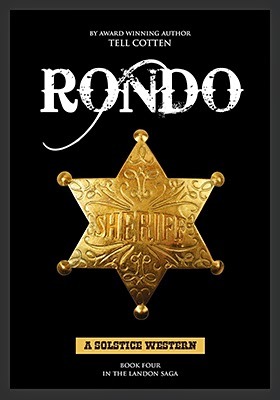 When Rondo Landon accepts the sheriff’s job, he has hopes of marriage and settling down. But things unravel quickly for the young sheriff. An old friend is killed, and Rondo’s past continues to haunt him when a mysterious stranger rides into town. Like the previous three books this one proved to be difficult to put down. You don’t need to have read those books to appreciate this one but your enjoyment maybe enhanced if you do so. Rondo is, effectively, a stand-alone tale but it does mention past events, and with the inclusion of Lee and Clark there is a continuation of a plotline begun in book 3. Told mainly in the first person, through Rondo, we witness the once outlaw attempting to walk on the right side of the law. Maybe even get married. Yet a shadow from his past might destroy these dreams in a blaze of gunfire. Watching Rondo trying to avoid this inevitable confrontation makes for effective reading whilst he tries to discover the whereabouts of a missing man which will lead to more deadly situations. Lee and Clark provide many of the more light-hearted moments and will stand by their friend when needed…..and when they aren’t. Full of great dialogue, plenty of action, and a twisting storyline, Rondo proved to be a pleasure to read. Tell Cotten brings this fast-moving tale to a satisfying conclusion but still leaves a couple of story threads dangling, thus ensuring that this reader is already anticipating the fifth book in the series, Yancy, which is to be published in the not too distant future. Sheriff Alec Lawson has come a long way from the Scottish Highlands and work is never slow as he deals with a kidnapped woman from China, moonshine that’s sending those who drink it blind and a terrifying incident involving a moving train. But when a man is found dead out in the wild, Sheriff Lawson starts to wonder if the one and only witness might not be telling him the whole truth as to what really happened and decides to start digging deeper…. This book sees Gillian Taylor bringing back Sheriff Lawson, who previously appeared in Silver Express. The main storyline, that of solving a murder, sees Taylor blending western and detective elements perfectly to provide a gripping read full of questions that Lawson will struggle to answer even using photographs of the dead man to help. The other major story thread, that of the deadly moonshine, and discovering who is making it, leads to a neat shootout that should satisfy all western fans. But this exchange of gunfire is nothing compared to the dramatic and extremely memorable conclusion to the murder case, and its destructive finale was something that I didn’t see coming. Will Lawson return in a third book? I certainly hope so as Taylor leaves what looks like a blossoming love triangle unresolved and I for one would really like to see how this pans out. 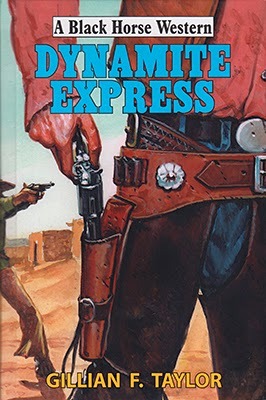 Dynamite Express proved to be a very entertaining book that I believe will be enjoyed by all western readers and probably by those who like detective novels too. A beautiful ranch woman from Lincoln County, New Mexico, wants Sartain to kill her husband, a county sheriff under Pat Garrett. The woman thinks her husband, possessed by an evil Apache spirit, murdered their three young sons. Is Everett Chance really evil or is his wife just plain loco? But that’s only the beginning of Sartain’s problems. He’s also tracked the last surviving killer of his beloved Jewel to the town of Gold Dust where, sporting a couple of the Revenger’s own bullets, Scrum Wallace is being protected by a handful of Lincoln County renegades, including the Gold Dust town Marshal. Two jobs have overlapped, and the tall, handsome Cajun finds himself in one hell of a whipsaw! Sartain is an intriguing hero, or should that be anti-hero? How the law sees right and wrong is of no concern to him, and payment is not needed. If he decides someone needs help in dealing out revenge then he will do so gladly. Of course not everyone sees things as he does and this creates some tense situations. Sartain has to decide if the woman who hired him is telling the truth or if she is in fact the crazy one. Frank Leslie really does an excellent job in making the reader suspect first the husband, then the wife, then the husband, and so on, until you’ll have no idea as to who Sartain will kill, if anyone. Finding the answer out to this question really does make this a difficult to put down read. Starting with a cracking barroom shootout that sees Sartain taking on massive odds Frank Leslie sets the tone for the rest of this savage tale. There’s plenty of violent action as the two story threads become entwined, something Sartain takes in his stride and deals with bullet by bullet. Of course it’s no secret that Frank Leslie is a pseudonym used by Peter Brandvold, and fans of his work will not want to miss this new series. If you’ve yet to discover his writing, like extremely fast paced books filled with brutal violence, and in the case of this series some graphic bedroom scenes, then grab a copy now as I’m sure you won’t be disappointed. Me? I’m already looking forward to book 5. Out chasing outlaws Texas Ranger Cal Avery comes across a wrecked stagecoach, and a dead man and woman nearby. In a gully, under a juniper bush, lies another young woman, thrown clear when the coach went over and who cannot remember anything. When a cavalry supply train comes along with Avery’s old friend, Jumbo Jepson, as the lead teamster, he decides that travelling with them is the best course of action. But in Cal’s absence, unscrupulous Indian Agent, Jake Elkins, has bribed men to swear that Cal has gunned down two innocent men in cold blood, and now there is a warrant out for his arrest. The travellers must head for the safety of Fort Griffin, avoiding the pursuing Indians, and the corrupt law, who are trying to halt their progress…. This is the first book I’ve read carrying the author name of Jake Shipley and it’s his third I believe. Unusually for westerns being written today the bulk of the story is that of cavalry verses Indians. The first half of the book builds to a prolonged battle between the two sides that is extremely well told and makes for some gripping reading. When the survivors finally make it to safety Avery must then face judge and jury in a trial that it seems he cannot possibly come out of a free man. So, if you still enjoy those classic cavalry verses Indian confrontations, then this is a book you really should consider tracking down. 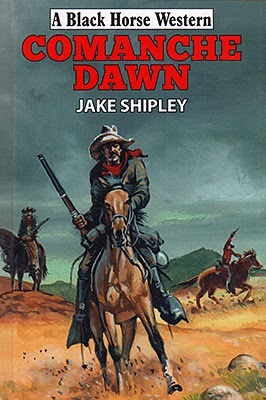 I found it to be a very enjoyable read and I now want to dig out Jake Shipley’s previous books that I have somewhere in my collection as I’m sure they’ll be as equally entertaining.